Over the next few weeks, drivers in Illinois will see a lot more deer out and about. And the state is offering some advice for if a deer runs into the road: Hit the deer. It sounds counter-intuitive or even cruel, Ed Cross, a spokesman for the Illinois Department of Natural Resources, said. But it is much safer to hit the deer than to swerve and try to avoid it, he added. "If you go in one direction, you run the risk of going into a ditch. Possibly rolling your car, hitting a tree, hitting a pole," Cross said. 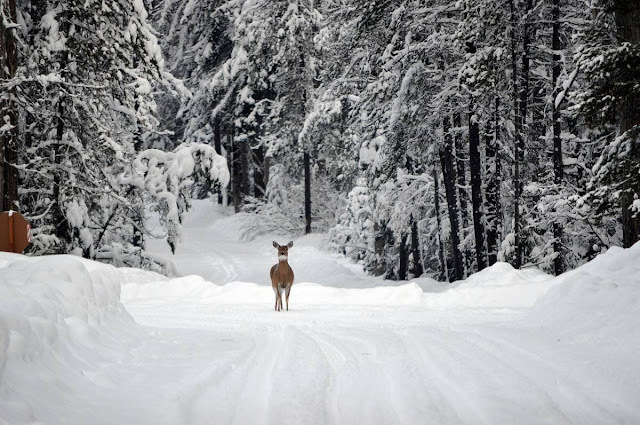 "Or, if you decide to avoid the deer, you may go into the other lane of traffic and hit a car." It is breeding season, and deer will be most active at dusk and dawn. "Early morning, when the sun first starts breaking, that is a high traffic time for deer," Cross said. "Same thing for the drive home. When deer are heading back into cover." Cook County had the most deer vs. car accidents last year, according to Illinois' numbers, mainly because it has the most drivers. But all but two of the top 10 counties for deer accidents are downstate. Cross said people who live in the state can claim a deer that they hit. They simply have to notify DNR within 24 hours.